Our goal is simple: to Provide Continuing Education to Health and Fitness Professionals in Order to Empower Cancer Survivors during Treatment, Recovery, and Survivorship. 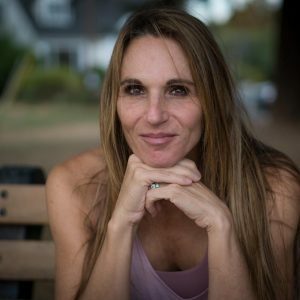 The Cancer Exercise Training Institute (CETI) was established in 2004 by nationally recognized author and Cancer Exercise Specialist® Andrea Leonard in response to a growing need to provide scientifically-based continuing education on exercise therapy as a critical component of cancer recovery. CETI provides health and fitness professionals with comprehensive coursework on twenty-six types of cancer, their surgeries and treatments, breast reconstruction, upper and lower body lymphedema prevention, identification, and management, cancer pain and fatigue, and comprehensive fitness evaluations including postural assessment and goniometry. CETI teaches targeted marketing strategies that will enable our graduates to create strategic partnerships with the medical professionals in their community and position themselves as the “next step” in the health care continuum. Earn continuing education credits with CETI as a Cancer Exercise Specialist®. Cancer exercise is an ever growing specialty with new research being released regularly. Our commitment to you is to provide the highest level of continuing education, keeping our Cancer Exercise Specialists® current, providing the very best in cancer exercise training. CETI offers live workshops as well as home study programs. Workshops for the Cancer Exercise Specialist® Advanced Qualification are 16 hours long. There is a 125-question self-paced online examinations that is to be completed outside of classroom time. The Cancer Exercise Specialist® candidate must complete it within 90 days of the workshop. Advanced Qualification is good for 2 years. All CETI Master Trainers are highly educated in multiple areas of health and fitness, and seasoned health professionals that are highly sought after and respected in their areas of expertise. The Cancer Exercise Specialist® Advanced Qualification is the training of choice of medical fitness facilities, fitness clubs, hospitals, and clinics worldwide. Become a Cancer Exercise Specialist® via home-study or live workshop.